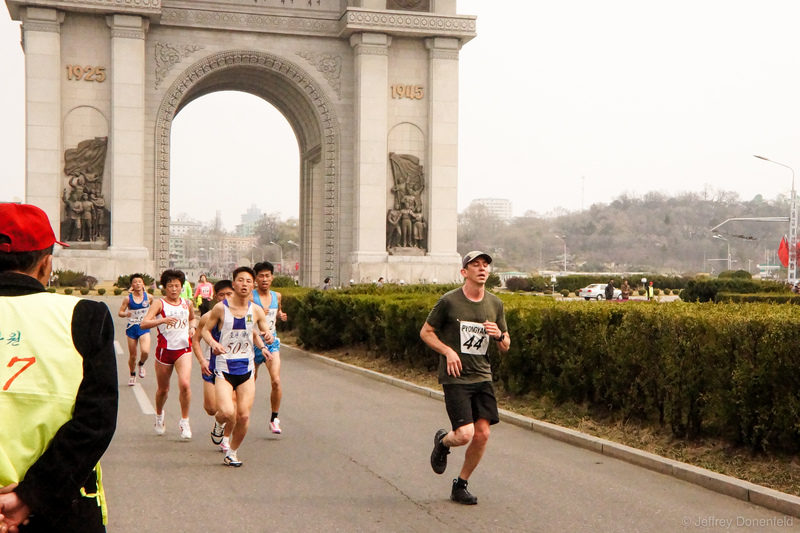 Here I am coming around a corner during my run of the 2015 Pyongyang Marathon. Both tourists and professional Korean athletes ran at the same time - so the entire time I was running, I was being passed by the pros! Here I am coming around a corner during my run of the 2015 Pyongyang Marathon. Both tourists and professional Korean athletes ran at the same time – so the entire time I was running, I was being passed by the pros!